that will enable them to put together safe, effective workouts anywhere in the world. Greenwood’s fitness room encourages students and staff to make their physical well-being a priority. Weight rooms can be intimidating: “What equipment do I use? Which exercises should I do? Am I doing this right?” When we were outfitting our fitness room, we had a goal in mind: to introduce students to the fundamental equipment and core movements that will enable them to put together safe, effective workouts anywhere in the world. You won’t find any weight machines in the fitness room. The equipment is made up almost entirely of free weights, with stationary bikes and rowing machines available for cardio, warm-up and cool-down. Unlike weight machines, free weights allow our Health and Physical Education (HPE) teachers to model and teach proper form to students, increasing the impact of the workout and vastly decreasing the risk of injury. “We wanted to provide a good selection of the basics students need to learn how to put together a great workout,” says Sam Clark, Greenwood’s Athletics and Recreation Coordinator. machines enable students to warm up and cool down. A recent Grade 9 HPE class made the benefits of this new space clear. After several classes focused on Personal Fitness, the class paired up to design and complete their own workouts. Students put together routines that targeted the arms, legs and core, and confidently moved through exercises including back squats, tricep extensions, planks, dumbbell snatches and bench presses. When we say our new volleyball/basketball specialist course is intensive, we mean it. Greenwood students have a high level of interest in these two sports, and this new course reflects that interest. Through this course, students not only sharpen their setting, bumping, and dribbling skills, they also significantly increase their overall physical fitness. Carla DiFilippo and Elanna Robson are two of Greenwood’s most accomplished coaches and athletes. Carla runs the volleyball portion of the course, while Elanna teaches basketball. Another class is devoted to students’ sport of choice. 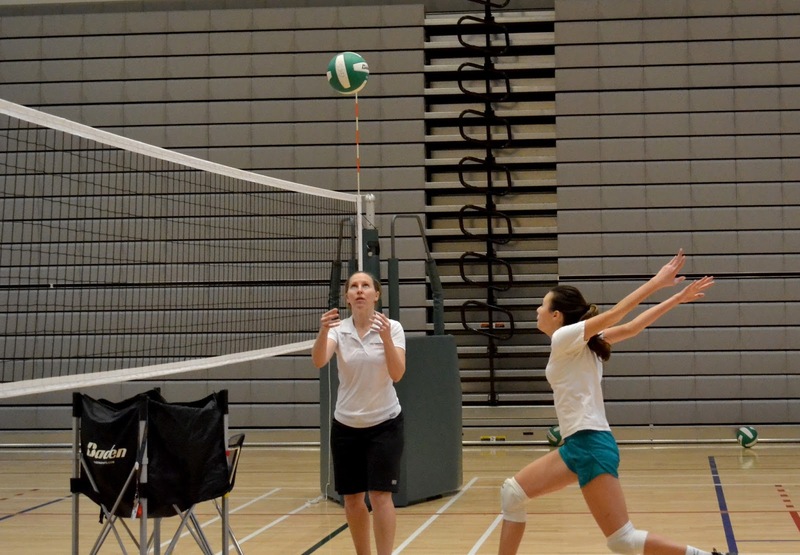 Carla and Elanna work with students to strengthen both the individual and collaborative technical skills that will take them to the next level in volleyball and basketball. most accomplished athletes and coaches. After March Break, students shift focus to three other areas: Ultimate, rugby and personal fitness. Again, our teachers for these units have significant expertise in their sports: Carla leads the Ultimate unit; Elanna teaches personal fitness; and Jamie Lester, Greenwood’s senior coach and a former professional rugby player, teaches rugby. As with all PHE courses, health education is a compulsory component. Students complete their health units in a self-paced online format. One of the main focuses of our new strategic plan is educating our community on the core principles of well-being, and integrating health and well-being into all of our programs. Physical activity is one of the keys to well-being, with benefits including decreased anxiety and increased concentration. Intramural sports provide students with an opportunity to engage with their peers in a positive and meaningful way. 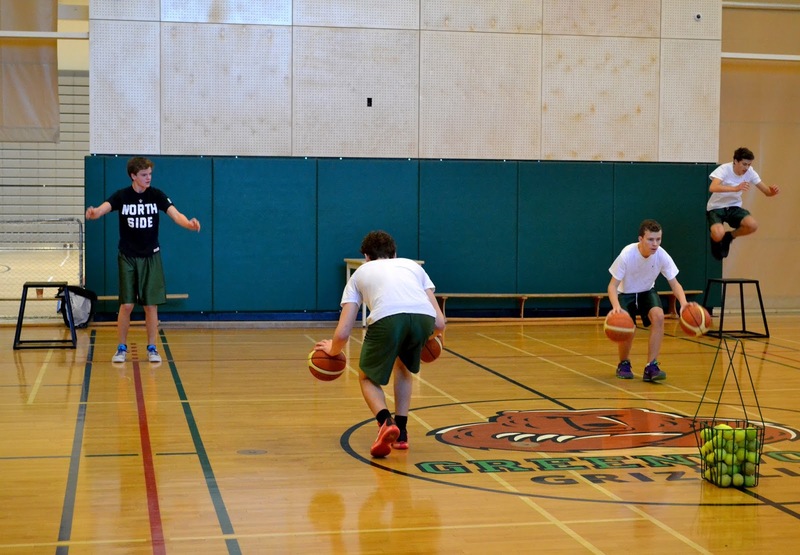 Greenwood’s new gymnasium allows us to offer organized athletics outside of inter-school competition. Run during part of the lunch period, intramurals get students’ blood pumping before afternoon classes while providing an outlet for stress. Currently, Greenwood runs basketball leagues for Grade 7/8, Grade 9/10 and Grade 11/12 students. Male and female students play together in 4v4 play. As we grow into our new space, we plan to introduce more leagues across a variety of sports driven by student interest. periods held in our existing gymnasium. Students looking for a less structured athletic opportunity can participate in open gym periods held in our existing gymnasium. Open gym is available daily at lunch to all grades and gives students supervised, safe time to engage in the physical activity of their choice.